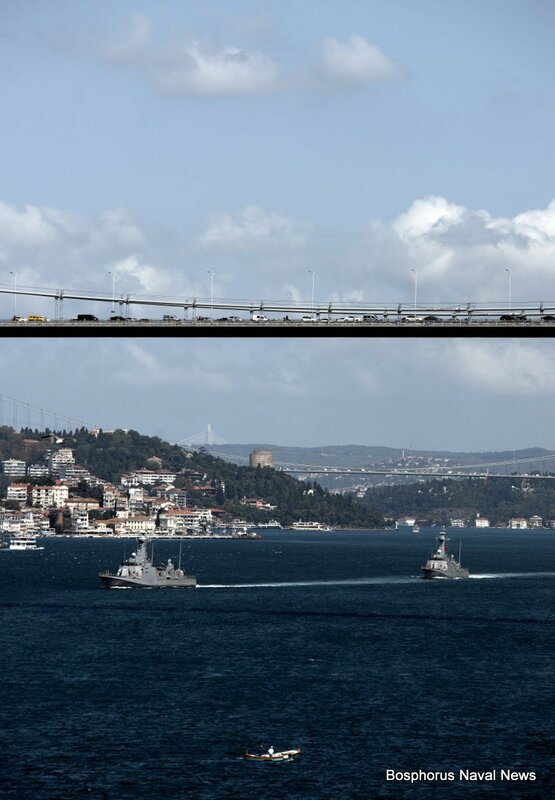 Turkish fast attack craft TCG Atak (left) and TCG Tufan passing through Bosphorus in formation. This week between 5th and 8th September 2016, Turkish Navy conducted an unannounced exercise in the Black Sea. During the week several Turkish warships of different types and some tugs towing practice targets were observed passing through Istanbul. Interestingly there was no official statement from Turkish Naval Forces or from Turkish General Staff about the exercise. Since some of these passages were during the night, the exact number of the participating warships remains elusive.